It’s difficult to believe any ‘news’ because I’ve seen so many half-truths and false things being spread around like they are facts. It used to be that we could trust a picture but now faces are being switched and pictures are constantly being used out of context. We are often told that a picture was taken at a certain time but it was actually taken at an entirely different event. 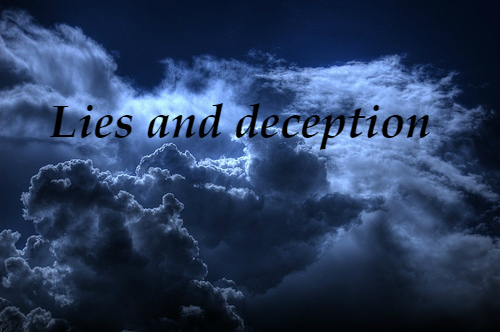 Lies, deception, and trickery – our culture is filled with them. Sadly, this is not a new thing. As we read through the Biblical account of Abraham’s family, we see a disturbing legacy of lies and treachery. A lack of integrity which was passed on from generation to generation. The consequences of their lies caused years of separation, anger and unhappiness. They could have avoided all of this if they had been truthful. One of the bright spots in this story is – in spite of their weaknesses and sin – God still used them to fulfill his plans. They weren’t perfect. They made quite a few very bad decisions and God let them pay the consequences of those decisions. But he still loved them and had a purpose for them. Great news for you and me! Because we’ll never be perfect. We’ll never ‘have it all together’. We have flaws. We have weaknesses. But God can and does still use us in his big plan to offer redemption to everyone. God has a purpose for me. And for you. He has a plan for our lives, a reason why we’re here. And its easier to figure out what that purpose is when we’re reading his word, praying and obeying. Thank you for the purpose you give us for our lives, Abba Father.